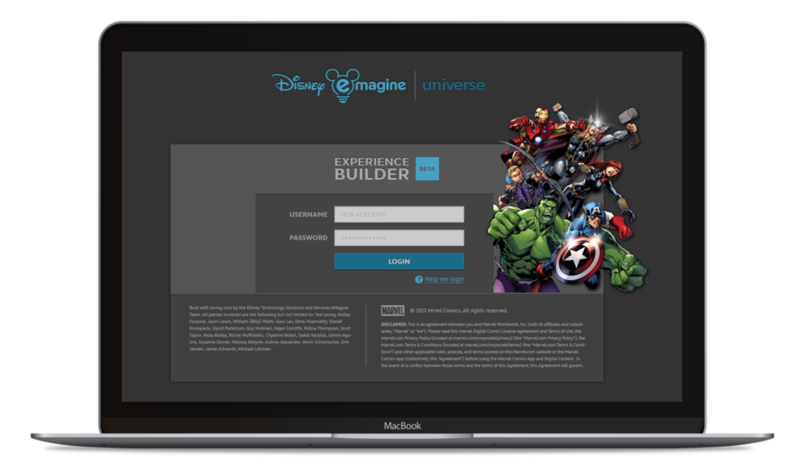 I worked one-on-one with developers to produce a unique, 100% functional authoring tool to be used as a connected-toy story-writing tool and to be utilized alongside other development tools such as Sublime and Webstorm. 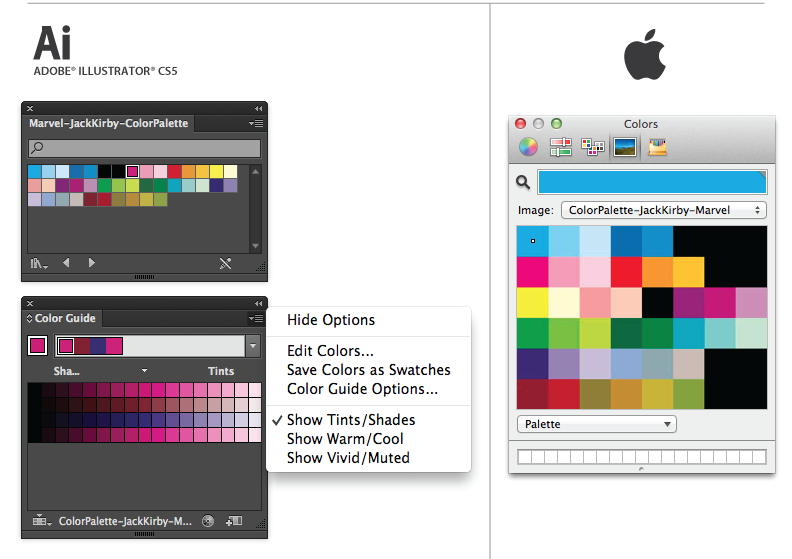 To support the tool I designed and built a branded color specification system based upon popular Disney color palettes to be used throughout all related documentation, design and authoring environments, including a custom XML color scheme for Sublime and an importable color palette for Apple and Adobe products. 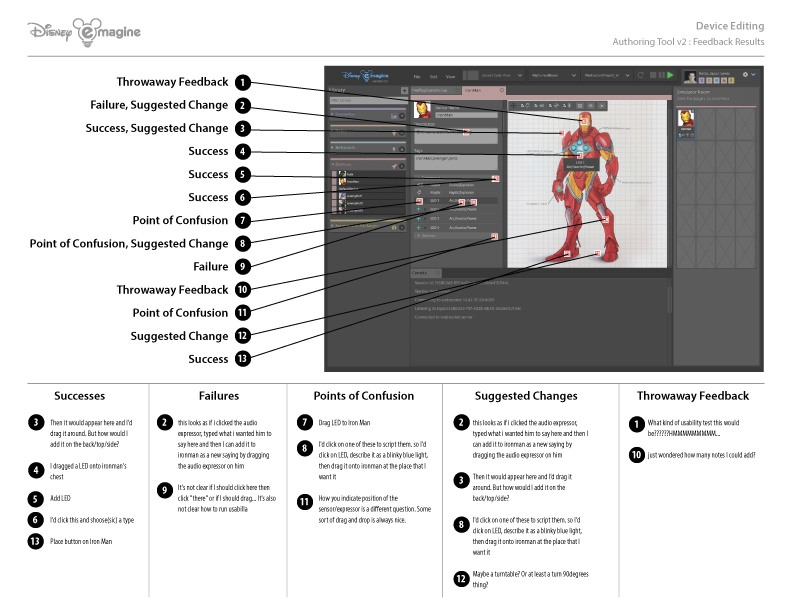 Codenamed "EMagine", I led all Interaction and Visual Design for the Playmation project by utilizing research, gathering user data via usability testing, and determining final UI solutions based upon existing Disney UI standards. In addition, I built a reusable CSS3 framework using modularized SCSS which utilizes the Marvel and Star Wars color specification system. I produced multiple documents based upon the Screen Capture Testing, which I then organized into areas of quantitative data. Then I organized the Screen Capture Testing alongside Usabilla Linked and Label Testing in order to correlate user comments with actual collected click-through data.